Summary: The actor who once said "greed is good" cautions investors against securities fraud in a new clip for the FBI. 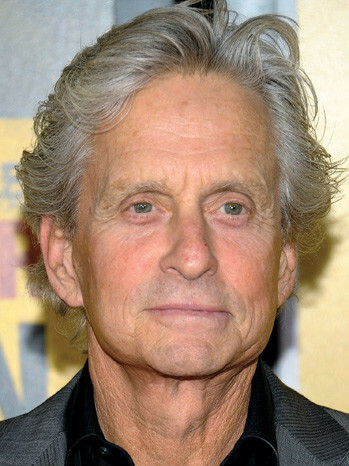 Actor Michael Douglas recorded a public service announcement Monday playing upon his Wall Street character Gordon Gekko in order to highlight the dangers of securities fraud. Gekko's iconic speech in the 1988 film by Oliver Stone advocated ruthless business practices in the name of bolstering profits: "Greed is good," he famously said. In the new clip, Douglas decries the character as a work of fiction, and discusses how get-rich-quick schemes might be the cause not only of personal but of the destruction of the American financial system as a whole. "The movie was fiction, but the problem is real," Douglas said. "Our economy is increasingly dependent on the success and the integrity of the financial markets. If a deal looks too good to be true, it probably is." FBI Special Agent David Chaves told Bloomberg News that he hopes that the participation of a high profile actor like Douglas, much less onewho infamously portrayed a character who embodied corporate greed, will raise awareness of the dangers of securities fraud. Chaves said, "We thought one of the most revered actors of our time would be a great voice for combating crime on Wall Street."